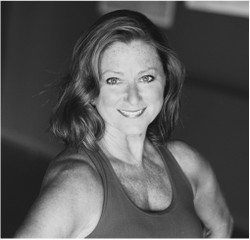 Sherri Conwell founded Sherri’s Dance Center in 1982. She is a member of the Texas Association of Teachers of Dance. She was a founder of Southwest Oklahoma Dance Alliance and served on the board for Arts for All. She was named a Lawton Cultural Award winner as an Educator in the Arts. Sherri was Miss Lawton 1978. She has danced in productions of “Oklahoma,” “A Chorus Line,” and with the Oklahoma University Modern Dance Company. Sherri has choreographed for many different events including; SODA’s Choreographer Showcase, local pageants, a commercial for The Salt Cellar as well as The Drowsy Chaperone for Cameron University. Sherri was also an Artist-in-Residence for the Oklahoma State Arts Council for 15 years. Students of Sherri’s Dance Center have been accepted into many dance departments including Walt Disney World, the Oklahoma Summer Arts Intensive at Quarts Mountain, the Bill Evans Dance Institute, the University of Central Oklahoma, Oklahoma City University, and the University of California at Irvine. She also has taught students in several musical theater programs including the University of Central Oklahoma, and Oklahoma University. In addition Ms Sherri has had students accepted into a to a variety of Oklahoma University Youth Programs. Miss Sherri's Students have also attained honors such as: winners of several area and state level pageants, a finalist for Miss America's Outstanding Teen pageant, soloists for SODA’s Nutcracker Ballet, OK Kids Scholarship winners, LA Dance Force Scholarship Winners, National KAR solo finalists. Miss Sherri's students also have obtained careers as cast members of Broadway musicals to include; Hamilton, Les Miserables, and Radio City Rockettes' Holiday Spectacular. Allee Passmore is a lifelong Lawtonian who loves teaching, dancing, and the Lawton-Fort Sill community. She began dancing at age seven with Ms. Sherri. Allee graduated from Lawton High School where she was a Captain of the Highsteppers dance team and went on to graduate from Cameron University with a Bachelor of Arts in Social Studies Education and a Master of Science in Educational Leadership. While in college, Ms. Passmore was a member of the Lawton-Fort Sill Cavalry Dance Team, eventually becoming the Dance Team Coordinator. Ms. Passmore is certified through the Oklahoma State Department of Education in the areas of Social Studies, English, Secondary Principal, and Dance. She was a long time coach of the ​Lawton Highsteppers as well as the LHS Cheerleaders. She has choreographed for area pageants, various cheer and dance competitions, and variety shows. Ms. Passmore has taught dance to all ages for over 15 years and is currently the Activities Director at Lawton High School. Taylor Burgess is also a native Lawtonian. She began dancing with Miss Sherri when she was 3 years old. She graduated from Lawton High were she was a Highstepper officer. After high school she received her Bachelor’s degree from the University of Oklahoma. While attending OU she was very involved in her sorority, Alpha Phi, The Pan hellenic Association, and The National Honor’s Society. After graduation Taylor decided there was no better place to start her career then in her hometown of Lawton. She has made her love for the Lawton community into a career. She is currently the Director of the Lawton- Fort Sill Convention and Visitors Bureau, where she recruits events, conventions and conferences to come see all the great things Lawton has to offer. She is a Certified Tourism Ambassador for the state of Oklahoma and Certified in Hotel Industry Analytics. After returning to Lawton to start her career Miss Taylor realized something was missing and returned to Sherri's Dance Center to share her dance talent and her love of the Lawton community with her students.